Astronomers have revealed details of mysterious signals emanating from a distant galaxy, picked up by a telescope in Canada. 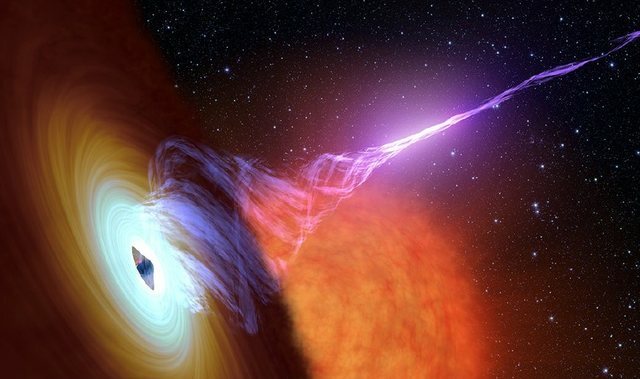 The precise nature and origin of the blasts of radio waves is unknown. 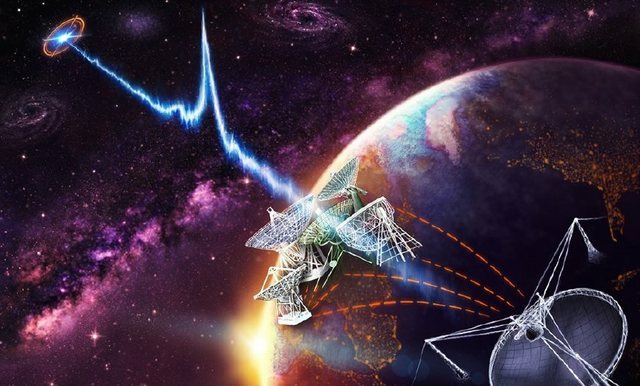 Among the 13 fast radio bursts, known as FRBs, was a very unusual repeating signal, coming from the same source about 1.5 billion light years away. Such an event has only been reported once before, by a different telescope. "Knowing that there is another suggests that there could be more out there," said Ingrid Stairs, an astrophysicist from the University of British Columbia (UBC). "And with more repeaters and more sources available for study, we may be able to understand these cosmic puzzles - where they're from and what causes them." 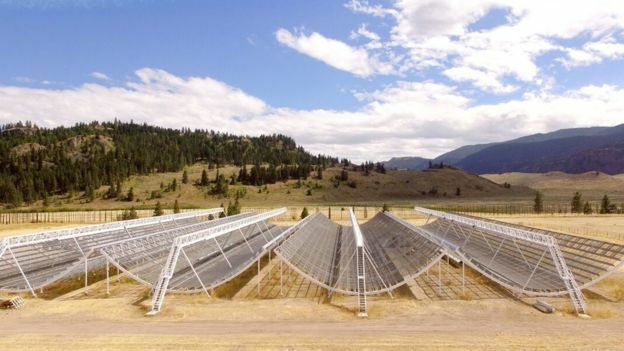 The CHIME observatory, located in British Columbia's Okanagan Valley, consists of four 100-metre-long, semi-cylindrical antennas, which scan the entire northern sky each day. The telescope only got up and running last year, detecting 13 of the radio bursts almost immediately, including the repeater. The research has now been published in the journal Nature. "We have discovered a second repeater and its properties are very similar to the first repeater," said Shriharsh Tendulkar of McGill University, Canada. "This tells us more about the properties of repeaters as a population." There are a number of theories about what could be causing them. 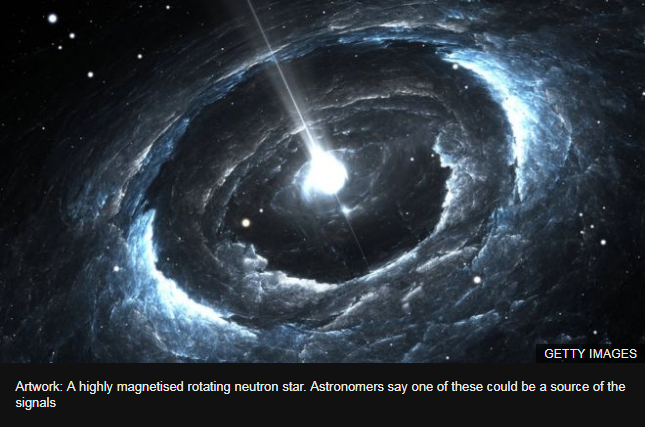 They include a neutron star with a very strong magnetic field that is spinning very rapidly, two neutron stars merging together, and, among a minority of observers, some form of alien spaceship. Copyright © 2005- 英语家园(https://www.enfamily.cn) 版权所有 All Rights Reserved.